If anyone has specific profile requests, please list them in this thread. Please be considerate though. There is no obligation upon any profile artist to do anything. If they do fulfil a request, it is a favour. Also try not to be too demanding - in other words, try to keep any requests to a workable minimum. We don't want to overload people. A second one in this area would be a PLAAF AH-1T (the U.S. gets in on it eventually). Treat everyone you meet with kindness and respect. But always have a plan ready to kill them. 1. USN Eurofighter, Tomcat 70's scheme, Please? British Hornet, Eagle, and Tomcat? I can handle the Rafale request as I have a blank already drawn up for the two-seater. Any specific squadron/paint scheme? I'll get to it in the coming few weeks. Could someone do a line profile of this aircraft for me? It's a Sreya, SA-6 Envoy. Refugee from the What-If Modeller's Forum! I want to include some tri-motor Cutlass in one of my next Shipbucket graph-bash...... but the side drawing available to me is a bit messy due to the author's desire to show the engine arrangement. Would someone like to tackle this and produce a side view that can be used both for doing profiles and as a template for Shipbucket-style icon? A top view is included if it helps determining what goes where, as is a failed past attempt of mine. V-22 in US Forest Service fire bomber markings. Well his/her email is on the image (bottom left corner) so you could email them to ask. 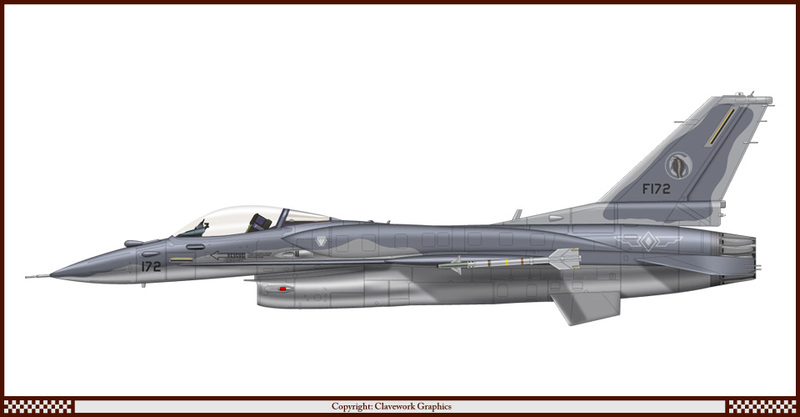 Wow, somehow I'd missed that Clave had done a Block 60 F-16. Anyone up for some carrier based Eurofighter Typhoons?